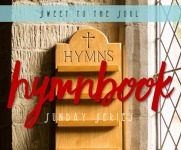 Of all the things I get to do with Sweet To The Soul, and all the topics I get to write on, and all the Bible studies we get to lead, I think this series, #SundayHymnbook is my very favorite part! I love reliving the days of my youth spent in small country churches, and I love reading about how these old hymns, and current worship songs, touch the hearts of so many. "The Midnight Cry", written by Bill Gaither, is not only one of my all time favorites, it was my Daddy's favorite also. Maybe mine because it was his, I am an openly confessed Daddy's girl. I am blessed to be apart of a church now that stills plays these traditional hymns as well a more contemporary worship, and this hymn is probably one of the most requested to our Worship Minister. For me, when I hear just the very first few cords, my eyes begin to water, the knot forms in my throat and my heart swells. In my mind, I am belting out the lyrics with such a melodious precision it shakes the church rafters. But in reality, I'm simply mumbling and trying to hold back the rush of tears just waiting to burst forth like a flood from a broken dam. The memories. The message. The hope. The promise. This friends, this is the moment, this is when our hope in Jesus is fulfilled. This is when all these struggles will cease, when all this hate will end, when all this sickness will be made well, when all our of tears are dried. 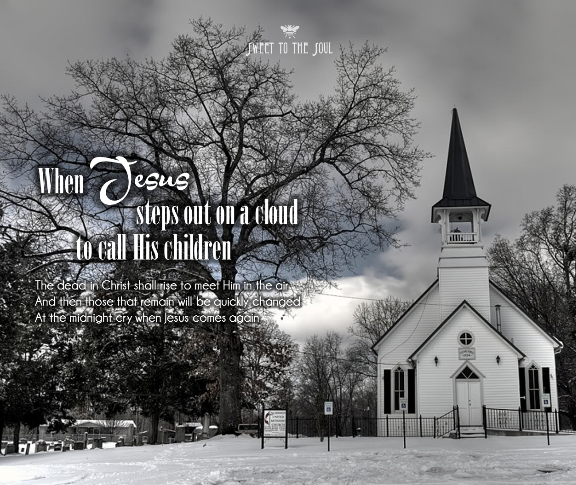 If you are familiar with this hymn, I'm sure you can hear it playing in your heart as you read the lyrics below. But I'd like to share with you one of my favorite renditions of this beautiful hymn, performed by Jason Crabb. May you find divine fellowship with our Lord today. How Great thou art was my Dad's favorite and every time I hear it I'm the same as you, the tears begin. Thank you for all you do to share the word of our Lord. God bless you! Powerful and beautiful. I have not heard this song in years! Thank you for sharing it. I just listened to "Midnight Cry" on YouTube by the Gaithers over this Christmas weekend. So powerful. It had been a long time since I heard it and needed to hear it now. Just filled with the Holy Spirit.